Mea culpa. In my last exaltation of dimples, I inadvertently forgot to include this lovely example of the double dimple, pleasant smile combination — actor Lu Yi Hao also known as Jasper Liu. He and the entire show Love Myself or You (aka Pleasantly Surprised) is indeed a pleasant surprise. It reminds me of a Japanese show called Clinic on the Sea, a drama that was mellow and where nothing really happened. It was a pleasant, easy watch if you didn’t want to challenge your brain, and featured fun and quirky characters. It also reminds me of the early episodes of Taiwanese drama, Love Around, which started off very mellow where all conflicts were solved reasonably and quickly by the characters. Until episode 9 when the whole thing started to collapse. I’ve made it to episode 11 and so far all is well. Or is it? I guess if there’s one complaint I have with the show is that there are no truly dislikable characters, so there’s no tension. The love triangle is a bust. I’d be happy if Kai Qi ended up with either guy. The rival guy is handsome, nerdy, romantic and successful. What’s not to like about this adorkable guy? You can’t really hate him once you discover the “break-up” with Du Kai Qi was just a big misunderstanding. Another complaint would be how dumb the big secret Louis is hiding is. 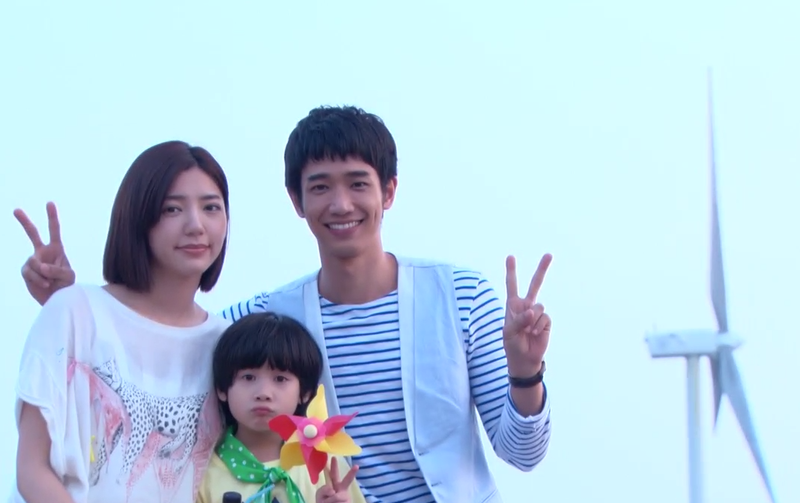 The whole reason Louis and Du Kai Qi can’t be together is silly. Louis’ brother is a bully who made him sign away the right to work as a chef in Taiwan? To work at any of their parent’s restaurants? Okay the deal he signed was in exchange for his brother stopping drinking, Louis would leave Taiwan and never return. But still. Louis can’t just tell his parents the situation and let them deal with it? I guess if they explained he hasn’t done this because he has PTSD it would make the scenario more plausible. I’m not a huge fan of French cuisine (I know, blasphemy) but the cooking scenes and plates are magnificent. I tend to nibble while watching this show. The funny thing about the kitchen is how polite everyone is. Although they gossip and jockey for position, this is nothing like the seething animosity in Chef’s kitchen in the show Pasta. Plus the head chef is a goofball, not scary at all. And he lets the sous chef run the show. He doesn’t come to the kitchen even to spot check! The holes in the plot didn’t bother me until I started watching episode 11. Right now it’s just a vague rumbling that maybe this show is going to disappoint me. Or like Fall In Love with Me and Love Actually suddenly become a melodrama instead of a romcom. And what is up with Du Kai Qi’s mother? She just left her with her abandoned nephew, peaced out and hasn’t called or checked up on the duo ever since. Likewise Kai Qi isn’t even checking to see how her sick grandma is doing. Sheesh.